Interesting characters are the foundation of good fiction. At the heart of almost every piece of fiction is a character who must solve a problem or strive for a goal. Understanding characters is an important part of navigating a novel or short story. Understanding how you know about characters is an important part of being a metacognitive reader. 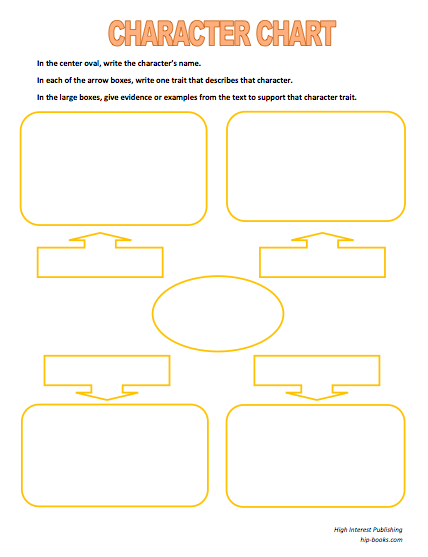 The basic Character Chart graphic organizer invites readers to identify four (or more) traits of a character in their reading, then provide direct evidence or examples from the text to prove or support each character trait.